On Jan. 17, 2019, Loretta Hazel Counts, at the age of 85, passed away at her home to join her recently departed husband, Earl Eugene Counts. Loretta was born Dec. 10, 1933, to parents Hazel and Everett Killillay. She was first born among siblings Lorraine, Fred, and Bob. Loretta grew up in the towns of Burlington, Tabernash, Pueblo, and Craig, Colorado. It was here in Craig that she was introduced to Earl Eugene on a blind date. It wasn’t long before the loving pair were married on Oct. 1, 1950, and she became a farmer’s wife. This union was blessed with three children; Audrey Nadine, Donna Jean, and Robert Eugene. 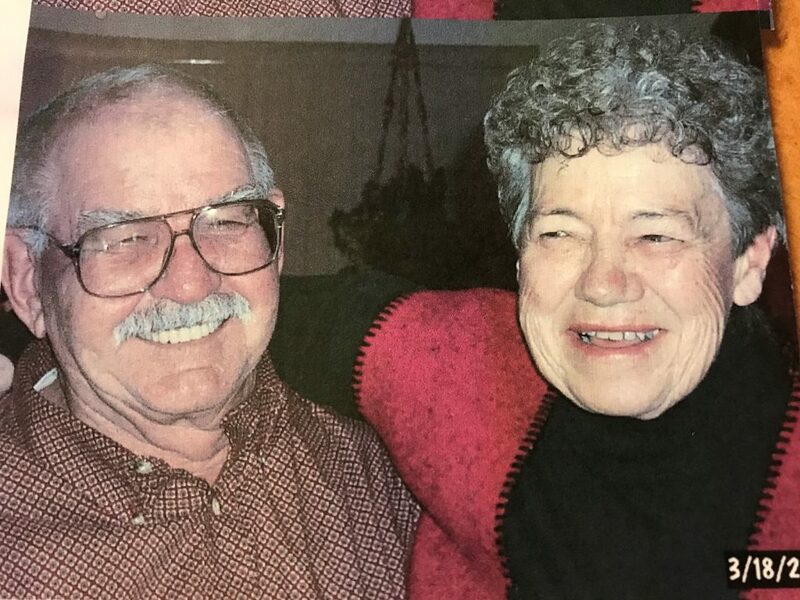 The couple resided and raised their family north of Cedar Mountain on their farm for nearly 68 years. Loretta was a member and deaconess of the First Christian Church, where she attended regularly until her health dictated otherwise. She was also a valued and active member of the Big Gulch Better Community Club. 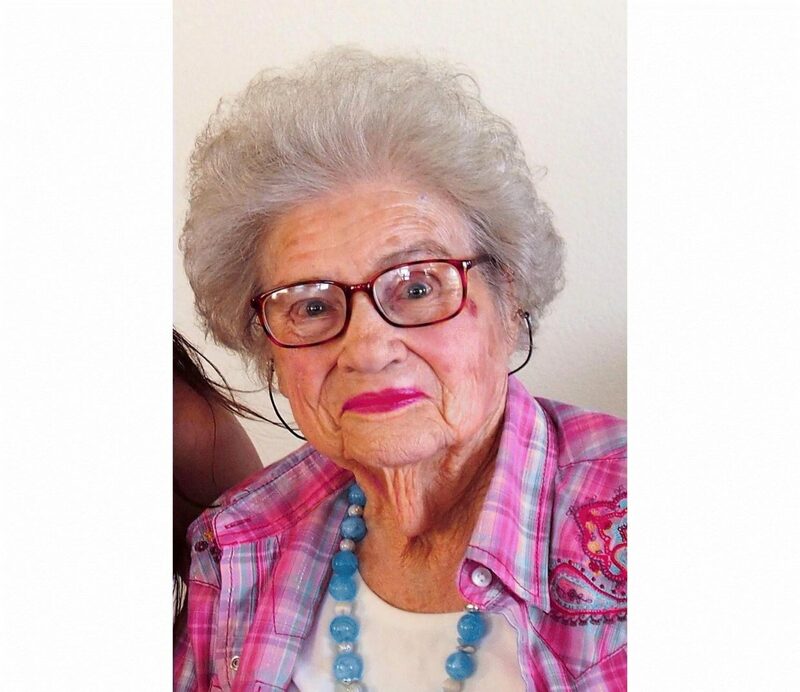 She was a devoted mother, grandmother, wife, daughter, and friend to many. Her passions included sewing, reading, cooking, dancing, fishing, and most of all, being with her family. At the Moffat County Fair, she won ribbons for her prized baked goods and canning. Loretta was a talented businesswoman, using her skills to help manage the family farm, selling Tupperware and Avon, as well as negotiating prices at the fruit truck. She held countless “hootenannies,” feeding family and friends alike and celebrating the love she so freely gave from her heart. One of Loretta’s greatest gifts in life was the ability to make each person she met feel special and loved. Loretta always welcomed everyone into her home with open arms. She was sure to have extra helpings for anyone dropping by. She was a very kind and giving woman, passing on her generous spirit and lessons of hospitality and faith to her family and friends, and she will be missed by all. Loretta leaves behind to mourn her passing her three children and their families. Audrey Rutz (Vern), Donna Curtis (Les), and Robert Counts (Lorraine); grandchildren, Kurtis Rutz (Whitney), Kyle Rutz (Cameron), Tiffani Roberts (Graham), Tarissa Jones (Cole), Trisha Montalbano (Ben), Emily Counts, Andrew Counts, and Tristen Counts; great grandchildren, Elijah, Micah, Daniel, and Caleb Rutz; Malia, Raylee, and Cole Rutz; Marie and William Roberts; Emalee, Hunter, Mason, Aiden, Isabelle (Gulley), and Alexis (Gulley) Jones. She is also survived by her siblings Lorraine Ross and brother Bob Killillay (Sandy); her sisters-in-law Evelyn Shinn, Charlotte White and Fern Pierce (Jerry); as well as her bother-in-law Wesley Counts (Beverly). Not listed but dearly loved are the numerous loved ones, friends, and neighbors who will forever miss and remember her in their hearts. Prov 31:30 Charm is deceitful and beauty is vain, But a woman who fears the Lord, she is to be praised.